What higher accolade can I give this Sake than to reiterate its victory as World Champion Sake? This is a masterclass in why Sake exists and what a wonderful addition to our libationary repertoire it can be. Fukukomachi Daiginjo is great with all manner of cuisine, but truly other-worldly when paired with that rarest of delicacies, an open, enquiring mind. A superb combination of moderate ‘ginjo-ka’, or fruity fragrance and deep ‘umami’ savoriness that spreads and coats the inside of the mouth. 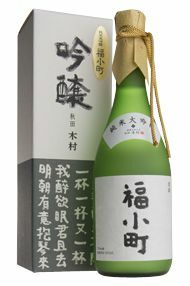 This is an aperitif-type sake which can be enjoyed on its own. 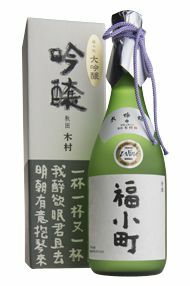 With rich aroma and smooth flavour, this sake’s 35% rice-polishing rate delivers a full and medium dry taste. 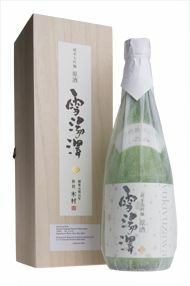 Its condensed umami and gorgeous genshu scent provides a rare sake that is made only once every several years. This memorable gem is suitable as a special gift or as a celebration of an exceptional occasion for that someone special. 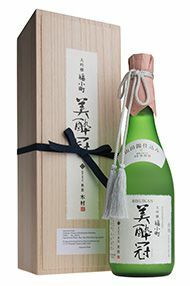 The result of Kimura Brewery’s aspiration to produce a super-premium sake, Yamadanishiki’s rice is polished to 35%, brewed, bottled, and aged in low temperature to ensure maximum flavour. It has the full body of genshu and sophisticated clearness.